The Zetas drug cartel has released a member of Anonymous after the group threatened a campaign against it, but not without leveling an ominous threat of its own. The Zetas, for those who don't keep up with the shadowy world of Mexican drug cartels, is widely considered to be the worst of the worst. The group was founded by deserters from the Mexican Army Special Forces who began working as a mercenary army for the Gulf Cartel but eventually grew to become the country's second-most-powerful - and far and away most viciously violent - drug cartel. They have butchered hundreds of rival cartel members and innocent civilians alike; in 2010, the group killed 72 people in the Mexican state of Tamaulipas and in 2011, another mass grave in the state containing at least 193 bodies was also attributed to the group. These are not guys to be messed with. Which is why some people were taken aback when Anonymous did just that in early October after the group kidnapped one of its members as he participated in a street protest in Veracruz, where the Zetas have been engaged in a bloody battle with other drug gangs. A message posted on YouTube threatened to release the names of journalists, police officers and others working with the cartel unless the kidnapping victim was released. "You have made a great mistake by taking one of us," it warned. "Free him." Not everyone was thrilled by the macho posing. Some warned that "new Anons" should stay away from "OpCartel", while others claimed it had been shelved entirely. Somewhat worryingly, the Stratfor Global Intelligence blog claimed that it had "seen reports that Los Zetas are deploying their own teams of computer experts to track those individuals involved in the online anti-cartel campaign, which indicates that the criminal group is taking the campaign very seriously. Those individuals involved face the risk of abduction, injury and death." The nature of Anonymous and the inherently secretive nature of drug traffickers [repeated and very public incidents of mass murder notwithstanding] make the whole thing very murky. Some recent reports claimed that Anonymous had backed down entirely out of fear that "irresponsible administrators [could] condemn participants to death," while others insisted it was still full steam ahead. Either way, it now appears that the Zetas have stepped back from the fight too, although perhaps unintentionally. Anonymous rep Barrett Brown claimed that the hostage was released late last week, although he also acknowledged that the Anonymous campaign may not have had much to do with it. "It appears that the Zetas concerned did not know that the individual was the Anon whose release had been demanded by those who instigated OpCartel," he said. And the release of the hostage came with a very stern warning for Anonymous and anyone else who gets the urge to mess with the cartel's affairs. "If Anonymous unveils any name related to the cartel, the family of the kidnapped Anonymous member will suffer the consequences," the group said. "For each cartel name revealed, ten people will be put to death." That's no idle threat, but Brown said that because the Zetas released the Anon unknowingly, "no bargain has been fulfilled" and he would therefore continue his campaign against the cartels regardless, albeit independently of Anonymous. Unsurprisingly, some Anons were critical of the move while others vowed to support him. 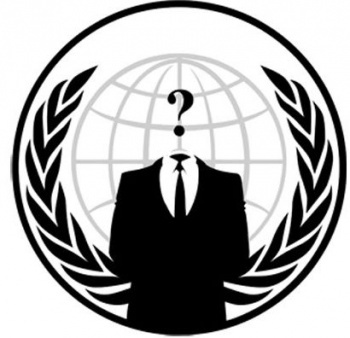 "I don't speak for anonymous the same way you don't -- we are two individuals," tweeted an Anon who goes by the name Sabu. "Those who want to work on the op can, and will." Sources: PCMag.com, The Guardian, MSNBC, thanks to DoW Lowen for the tip.